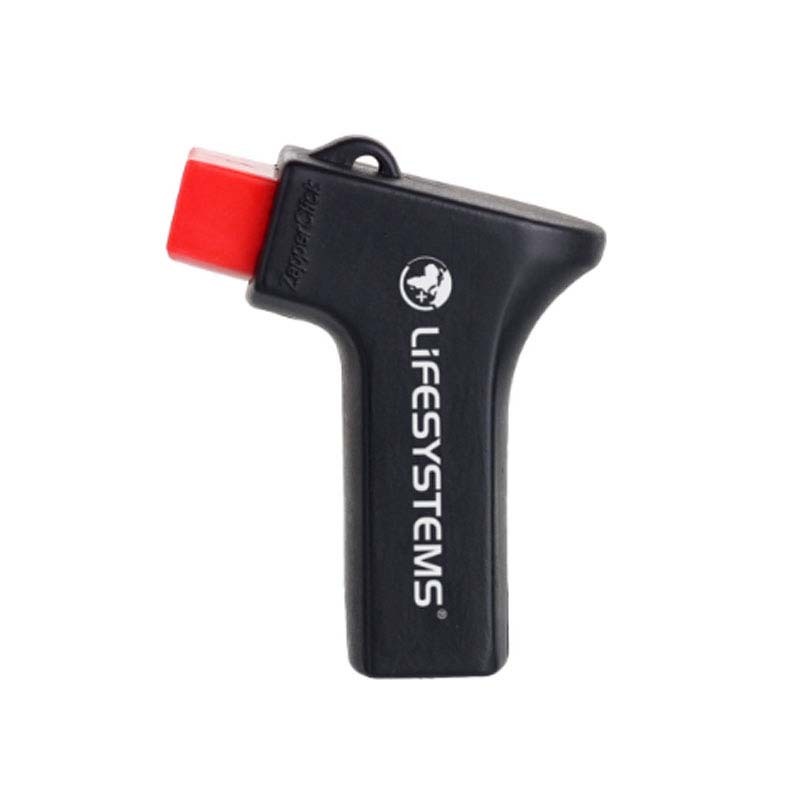 The bite relief click is a pocket sized device which soothes the discomfort and itching of insect bites. 'Clicking' the device 5-10 times around the area of the bite has the effect of localising the poison and inhibiting the histamine release which causes the itch. This helps neutralize the toxicity of the mosquito bite with no harmful effect on the surrounding skin, thus reducing inflammation and swelling. A pulsating current is produced by the bite relief clicking action, which is generated from naturally sourced quartz crystal. A charge is achieved by the expansion and contraction of a piezo crystal generating a low amperage electrical discharge of around 13kV. Each device can treat up to 1,000 bites/10,000 clicks.